Wilson Cuellar Chavez has a Master Degree in e-Business & e-commerce from Universidad Politecnica de Madrid, and Post Degree courses in Electronic Government from OEA and Specialist in Management of Companies in the New Economy. Has a specialization in the areas of Improvement of processes, e-content, Telecommunications, e-Sales, Strategic Planning, ICT and Knowledge Management. He has developed his professional career working in national and multinational companies in the area of planning, Software product and services development, outsourcing, and ICTD. His responsibilities included; the implementation of different projects of ICTD (Software, Internet content, e-learning and E-business platforms); the development of business plans, marketing strategies and product development. Has dictated Seminaries, Workshops and Courses of electronic commerce, marketing, and new technologies in Bolivia, Peru, Uruguay and Argentina. 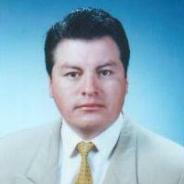 Also he is teacher of ICTD from Universidad Mayor de San Andr?s In Bolivia. 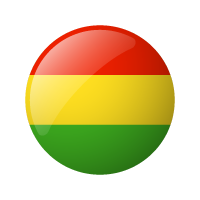 Has developed activities of consultancy in the areas of; telecommunications, e-marketing, e-content, Business Process Management, ICT Manager of Projects, also has been coordinator of the Country Gateway Bolivia, supported by the World Bank and the Development Gateway Foundation. At the moment is Coordinator of ICTD projects and information society.